On February 17, 2016, the 350-day commercial test of the one-megawatt heat plant based on Andrea Rossi’s E-Cat was completed. The event must be considered historic since it’s the first time an industrially useful amount of energy is produced over such a long time from this kind of yet unexplained radiation-free and powerful reaction involving the atomic nucleus. To be clear, the report from the one-year trial, which has been controlled by an independent expert, will be released only in about a month. Until then no official information is provided on the test result. However, multiple sources have told me that the test has been successful. [UPDATE: The report, which confirms the energy production and the validity of the test, is now available here]. The test has been undertaken by Andrea Rossi and his US industrial partner Industrial Heat, and according to Rossi, commercialization of similar industrial heat plants will be initiated as soon as possible, provided that the result is positive. 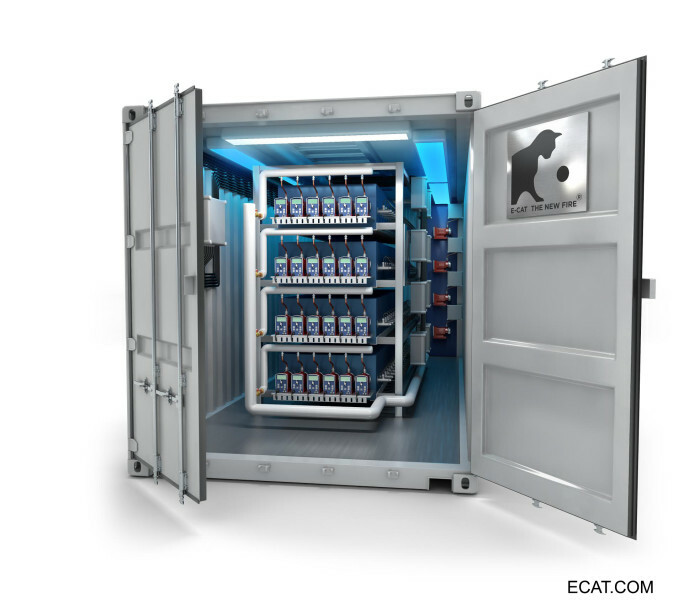 Industrial Heat has acquired the right to produce and sell E-Cat based technology in, as far as I have been told, North, Central and South America, China, Russia, Saudi Arabia and the United Arab Emirates. Needless to say, the consequences of such an energy source for the world will be huge, and this is what will be discussed at the New Energy World Symposium. The final decision to hold the symposium is now closer, but a positive report is still necessary as the last step. Next Next post: BREAKING: The E-Cat has been replicated—here’s the recipe!